The Enclave at Aloma Woods! This home has four bedrooms and two baths with a beautiful pond view. There is a formal living room and dining room. The family room and kitchen are open and make a great space for entertaining! The family room has a large sliding door that opens to a screened patio with a view of the pond. The kitchen has tons of storage, counter space and a breakfast bar. The master suite has a huge walk-in closet with built-ins. Master bath has dual vanities, a garden tub and separate walk-in shower. There is an inside laundry room and the garage has additional hanging storage. This is an open floor plan and the bedrooms are a split plan for additional privacy. The back yard is very large and completely fenced. 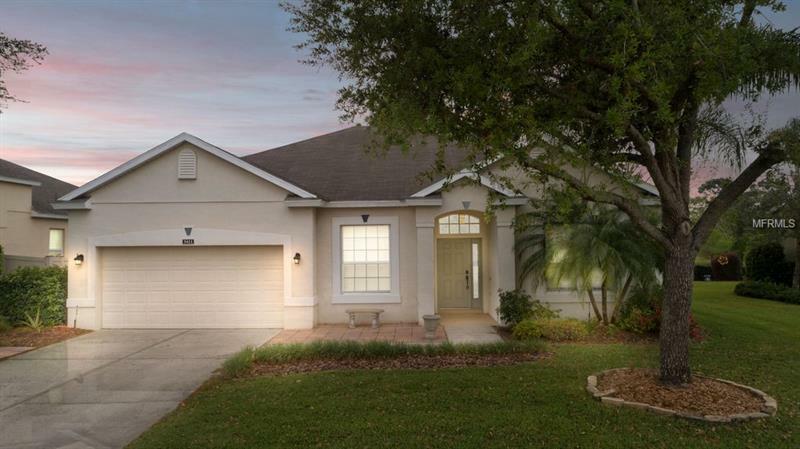 This home is in the gated part of the Aloma Woods and is located on a nice cul de sac tucked in the back of this great neighborhood. This home is available for a quick closing. Call for a private showing today!